When Winterset School District cancels classes for the day, our activities are also canceled. The first rehearsal for adult choir will be postponed until next Wednesday, January 30. See you NEXT week!! You are enthusiastically invited to participate in the next segment of the Apprentice Small Group Series, entitled The Good and Beautiful Community. Come and explore how we follow Jesus more closely in community! Thank you for your generous gifts to the Matura Food Bank. The need doubles or triples in the winter months. A ring was found the other day here at the church. Please call Bea (515-971-9160) to identify and claim it. Don’t forget to bring extra grocery items so we can celebrate Souper Bowl Sunday to the fullest! 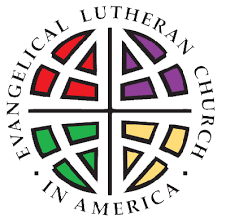 If you prefer to make a cash donation at our second offering, please make checks payable to ELCA World Hunger. Thank you for doing a world of good! "Responding to God's grace in Christ, we welcome all people, prepare disciples, and live faithfully, through worship, spiritual growth, and action."